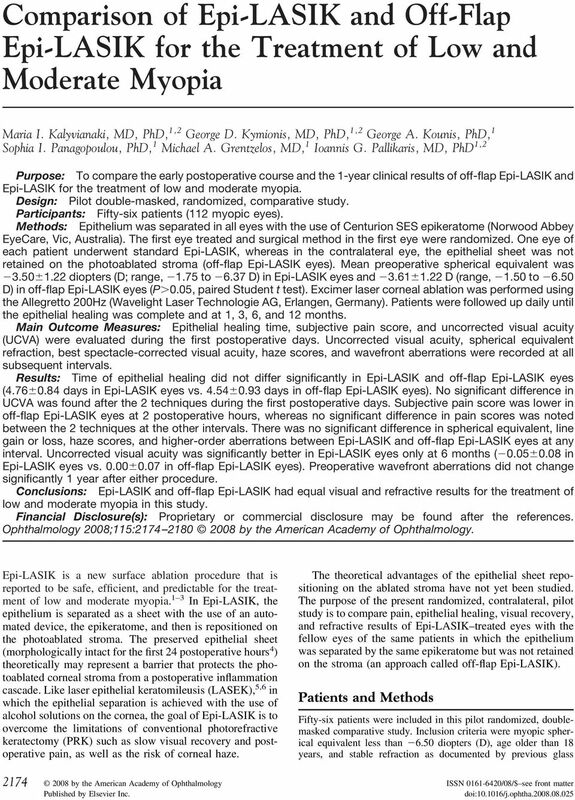 Download "Comparison of Epi-LASIK and Off-Flap Epi-LASIK for the Treatment of Low and Moderate Myopia"
Epi-LASIK Surgery. The procedure of choice for surface ablation. 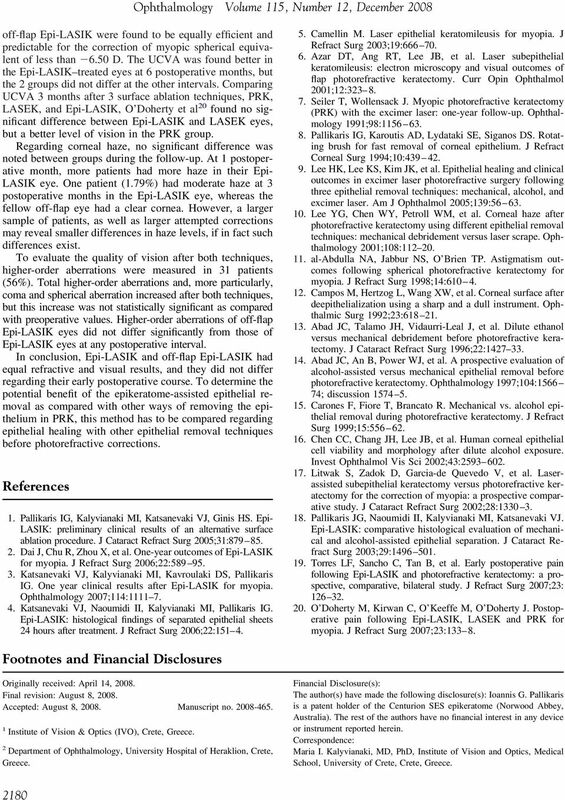 WILL SURFACE ABLATION TECHNIQUES SURVIVE? 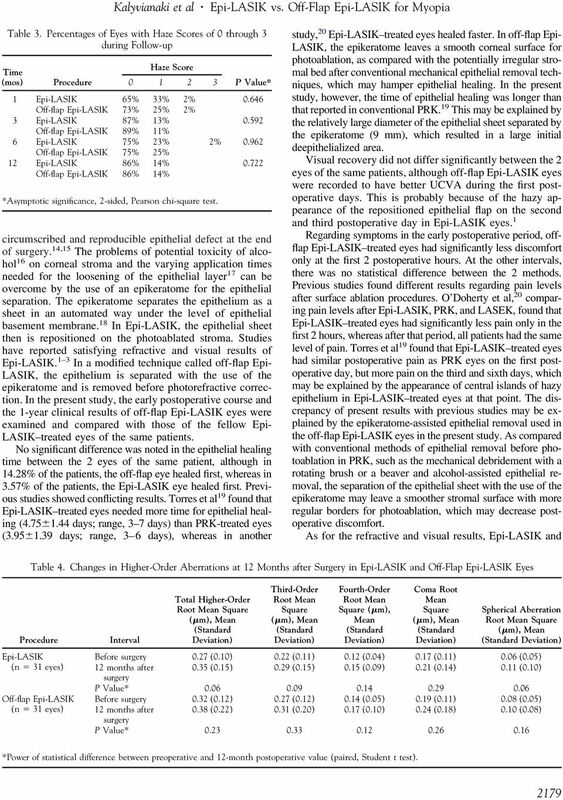 ARTICLE Efficacy of 2 types of silicone hydrogel bandage contact lenses after photorefractive keratectomy Michael A. Grentzelos, MD, Sotiris Plainis, MSc, PhD, Nikolaos I. Astyrakakis, OD, Vasilios F.
Uniquely Safe. 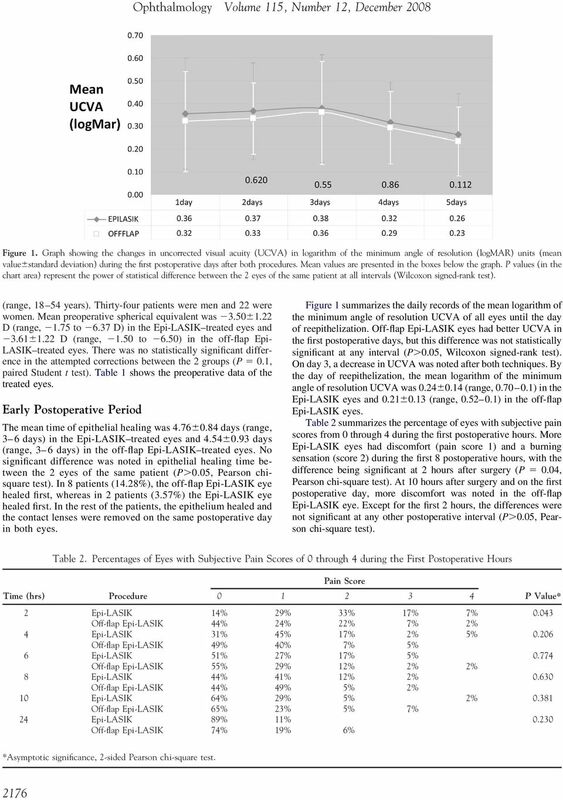 predictably better for our patients. enhancement, may be significantly reduced. Financial Disclosure. 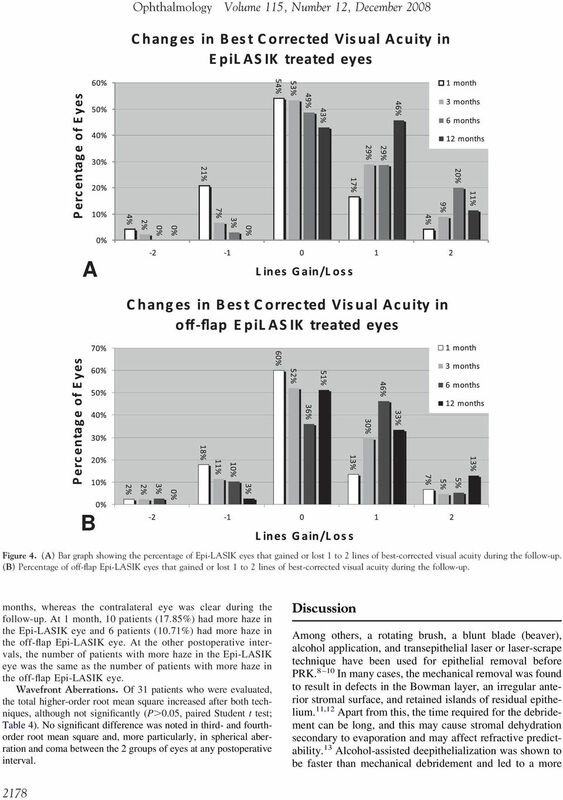 LASIK Flap Parameters IntraLase Microkeratome 6/9/2008. 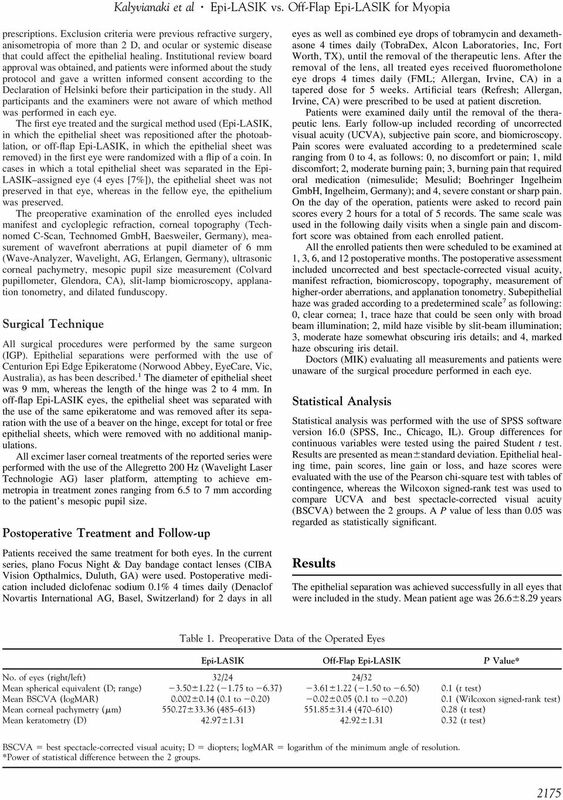 Femtosecond LASIK Flaps: What Could We Customize Yesterday? MicroScan. Excimer laser system for all types of vision corrections OPTOSYSTEMS LTD.
MicroScan Excimer laser system for all types of vision corrections OPTOSYSTEMS LTD. МicroScan is a new generation excimer laser system for all types of vision corrections: myopia, hypermetropia, astigmatism. 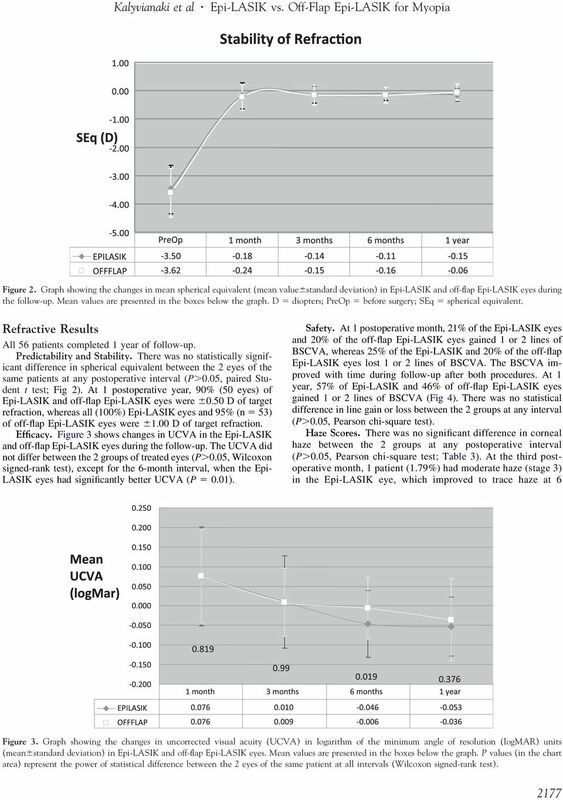 New topographic custom ablation procedure for treating irregular astigmatism post keratoplasty with high frequency (1 KHz) excimer laser.